In 1931, the Owsley County community began the rebuilding process after the Great Depression. The community requested that various people throughout the area invest money to start a new bank. The people listened and soon, 32 investors with $15,000 pooled their money to start the Farmers State Bank. They named the bank after they purchased a vault door from a failed bank which was named Farmers State Bank. In 1981, due to the increasing need for more room and better technology, FSB built a new bank building beside the old building which was left vacant. 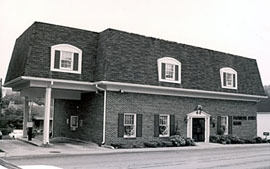 In 2002, the bank decided to invest money in remodeling the old building and making it a working facility. Today, Middlefork Insurance Agency is located on the first floor while the second floor holds the FSB Board of Directors meeting room and offices for future expansion. 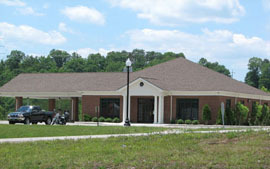 The need for expansion continued, when in 2005, the bank opened a branch location in Beattyville Kentucky. The new location has grown in customers and accounts since its opening.